SNOW PATROL release their new album, Wildness on May 25 but Galway will get a chance to hear some of its tracks before then when the band play Leisureland, Salthill, as part of their Irish tour. 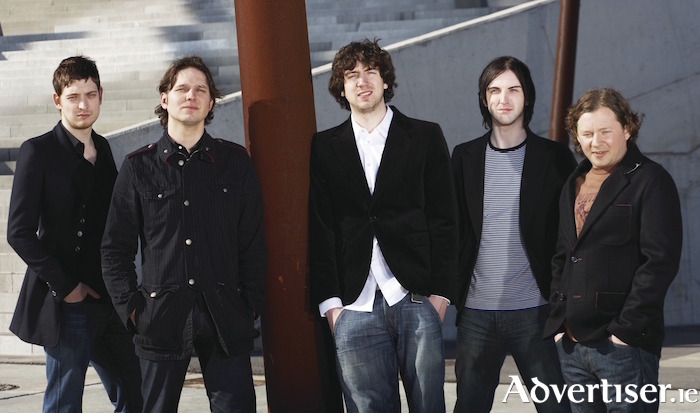 The band - Gary Lightbody (guitar/vocals ), Johnny McDaid (guitar ), Nathan Connolly (guitar ), Paul Wilson (bass ), Jonny Quinn (drums )- have been a going concern for more than 20 years. Since their 1998 debut, Songs For Polarbears, their melancholy anthems of heartbreak and separation have enjoyed 15 million global album sales; more than a billion global track streams; five UK platinum albums; and been nominated for Grammy, BRIT, and Mercury Music Prize awards. The tour takes in Derry, Cork, Killarney, Dublin, Wexford, Belfast, and Galway. Snow Patrol play Leisureland on Friday May 18. Tickets go on sale on Friday March 30 at 10am via Ticketmaster outlets andwww.ticketmaster.ie Pre-order Wildness before Wednesday March 28 via http://bit.ly/2G8VUTr for access to an exclusive pre-sale from 10am on Thursday March 29.